Reynolds Construction, LLC, is an employee owned, customer focused, service company providing sustainable solutions for water and wastewater infrastructure. 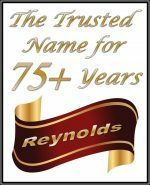 Reynolds Construction is the beneficiary of a rich heritage of success from predecessor businesses. 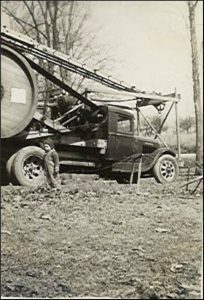 Our legacy in water resource construction was started in the mid 1930's by John L. Reynolds, Sr. under the name John Reynolds & Sons. That business first incorporated in Indiana as John Reynolds & Sons, Inc. in 1965, then later as Reynolds, Inc. in 1987. The company merged with Layne Christensen Company in, 2005, and in 2012, assumed the name Layne Heavy Civil, Inc. On May 1, 2017, the assets associated with this business were purchased back by management and the company began operations as Reynolds Construction, LLC. 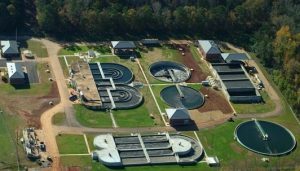 Reynolds delivers sustainable solutions to government agencies, industrial and private clients by performing traditional Construction as well as Design-Build services of critical water and wastewater treatment facilities and pipeline installation. In addition, Reynolds builds surface water intakes, pumping stations, dams and reservoirs, hard rock tunnels and marine construction services – all in support of the nation's water infrastructure. Beyond water solutions, we offer design and construction of biogas facilities (anaerobic digesters) for the purpose of generating and capturing methane gas, an emerging renewable energy resource. Reynolds employs nearly 350 people, and over the last 5 decades, the former and current operating groups have constructed more than 230 treatment plants and installed more than 18 million feet of pipeline. In the last 15 years, our our operations teams have contracted over $650 million in Alternative Delivery contracts including Design-Build, Design-Build-Operate, and Construction Management at Risk. "Generations of Quality Water Solutions"